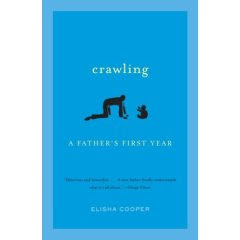 I was lucky enough to be sent a copy of the book "Crawling" by Elisha Cooper from Mom Central. I got the book in the mail on Monday, and I couldn't put the book down once I started reading it. Elisha Cooper is an award winning children's author who decided to write about a father's first year of parenthood, his first year of parenthood. The book is funny, thought provoking, and just in general a good read. I was skeptical at first reading a book from the Father's point of view, but I think that's what made it more interesting. "There's a head sticking out of my best friend....Anybody who says this moment is the most precious wonderful thing in the world is delusional." Great book, great author, I would highly recommend this book to everyone, whether they have kids in college or just starting out. Sounds like a good read! I'll be trying to win it on your other site! 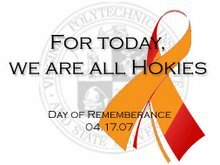 I will be there trying to win it!! I have to do my review! It's a great book, I totally enjoyed it. That's a *fantastic* opening line! I must look out for that one it sounds like a good read!